In this post, I’ll deal with questions 1 through 6 in the “calculator not permitted” section. For the “calculator permitted” section, see questions 1 through 5 here, 6 through 11 here, 12 through 15 here, 16 through 20 here, 21 through 26 here, and 27 through 30 here. You can see questions 7 through 12 from the “calculator not permitted” section here, and questions 13 through 18 here. This is an interesting question, because it’s really just testing whether you know that when a line is translated, its slope doesn’t change at all! The slope of the line in the figure is , which is easy to see from the two darkened points—the line moves down 3, and right 2. Therefore, the translated line will also have a slope of . Is this new? Kinda. The content is familiar, but the way the question is asked is new. Heart of Algebra questions (the easy ones, anyway) will usually look like this, apparently. The thing to pay attention to in this equation is where the variable, x, is. 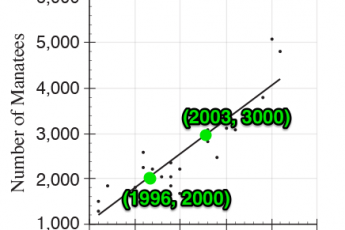 If x represents the number of years since 2004, we can conclude that the average must have been 27.227 in 2004, and has increased slightly every year since then, at a roughly constant rate. The 0.8636 number, which is multiplied by x, must be the number that’s added to the average every year—the estimated annual increase in the average number of students per classroom. Is this new? Not really, although they’re calling it easy here and this would not be an “easy” question on the current test. 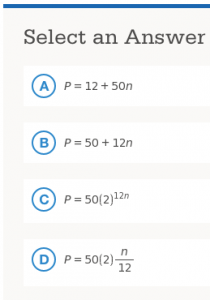 In this “Passport to Advanced Math” question (I promise that I’ll get over these crazy category names soon, but I’m not quite there yet) we’re being tested on whether we recognize the opportunity to complete a binomial square. That bit is most of what we get when we square the quantity . What’s missing? Do you see the opportunity to substitute? We already know that ! *With the elimination of the guessing penalty on the new SAT, there’s less reason than ever before to go running for the hills. I have to say that so far I’m liking the “calculator not permitted” questions a lot better. I don’t really know why, since most of the “calculator permitted” questions weren’t really calculator questions either, but it seems like we’ll get to do our fun algebraic manipulation work mostly in the “calculator not permitted” section. A few ways to go here, but what I usually do with a question like this is just take it one step at a time until I’ve isolated the thing I want to isolate. In this case, that means I’m going to first raise both sides to the –1 power, and then square both sides. In this post, I’ll deal with questions 27 through 30 in the “calculator permitted” section. See questions 1 through 5 here, 6 through 11 here, 12 through 15 here, 16 through 20 here, and 21 through 26 here. Awesome question. You could spend some time wrestling this into y = mx + b form, but you don’t need to if you’re paying attention. Look at the choices! One of them is a parabola. There’s no term in , so you know you’re not going to get a parabola. Cross off D. The other thing you should notice is that A and C have non-zero y-intercepts. Since the given equation is doesn’t have any constant terms, it’s going to go through the origin. 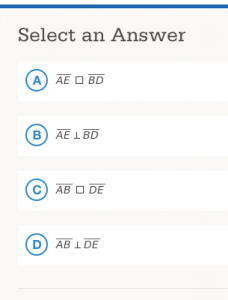 You can cross off A and C, and you’re left with B. This is one of the short-cuttiest questions yet! OK, don’t be intimidated here. All you need to do is take some of the information you’re given, and use it correctly. Put the point (–4, 0) into the given equation, and you’ll be able to solve for c. Simple as that! Is it weird that they tell you that c is a constant but don’t feel the need to tell you that p is a constant? Yes, I suppose. But do you need p at all to solve for c? Nope. Not at all. Is this question slightly harder because you had to puzzle with that for a minute before getting to work? You bet. This question is kinda fun, although I bet a lot of students who encounter it will disagree with me. When the question says that those two expressions are equivalent forms, what that means is that you can set them equal to each other. So let’s do some algebra to get A in terms of x! Do you see the difference of two squares up top there? Remember your SOH-CAH-TOA. We’re dealing with cosine here, which is the adjacent leg over the hypotenuse. 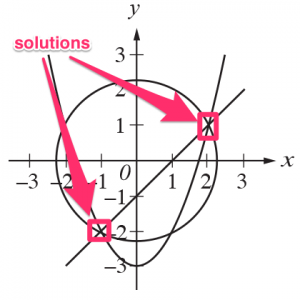 The cosine of x, then, is just . In this post, I’ll deal with questions 21 through 26 in the “calculator permitted” section. See questions 1 through 5 here, 6 through 11 here, 12 through 15 here, 16 through 20 here, and 27 through 30 here. This one’s just about as easy as a medium question can come, but it requires careful reading of both the question and the graph. The thing you need not to miss in the question is that the dishes are 10 square centimeters in area. So when bacteria cover 7 square centimeters of the dish, they also cover 70% of the 10 square centimeter dish. A: Nope. At time t = 0, neither dish is even close to being 100% covered. B: Yes, this is the answer. Dish 2 has 2 square centimeters covered, and Dish 1 has 1 square centimeter covered. Because the dishes are 10 square centimeters in area, those percentages are correct. C: Nope. Dish 2 covers twice as much as Dish 1 at t = 0. That’s not 50% more, that’s 100% more. D: Nope. The opposite is true—Dish 1 grows much more quickly in the first hour than does Dish 2. This is one of the most old-school SAT questions we’ve seen–all you need to do is make one quick substitution and solve, but make sure you don’t go one step too far! The question asks for , not ! I hope you don’t mind me plagiarizing myself here—the next three question were floated by College Board way back when they announced the new SAT, and I solved them in a couple posts then. This section and the following two are reprints from here and here. To get this, first find the area of the hexagon, and then subtract the area of the circle. Once you’ve done that, you can multiply by 1 centimeter to get the volume. Then you can use the given density to find the mass. Sound like fun??? The area of an equilateral triangle is . (Derive that for yourself—it’s good practice! Or see here.) For each of those equilateral triangles, then, the area is . 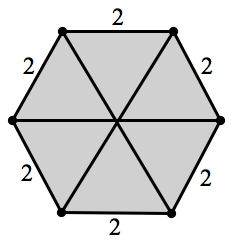 There are 6 of those, so the area of the hexagon is square centimeters. The hole drilled through the middle has a diameter of 2, so it has a radius of 1, and therefore an area of π square centimeters. So the area of the hexagonal face of the nut, minus the hole drilled through it, is square centimeters. Multiply that area by the height of the nut, 1 centimeter, and you get the volume: cubic centimeters. Now, you’re told that density = mass/volume, you’re given the density 7.9 grams per cubic centimeter), and we just found the volume. We’re asked for the mass to the nearest gram. Since we’re asked for the answer to the nearest gram, we write 57. If the bank converts Sara’s purchase to dollars, and adds a 4% charge, then the $9.88 she’s charged doesn’t convert directly to rupees. First we need to get that 4% fee out of there. If x = the dollar cost of her purchase without the fee, then 1.04x = 9.88. Round that to the nearest whole number and the answer is 63. If Sara buys the prepaid card, she doesn’t have to pay the 4% fee her credit card charges her, but she could lose money if she doesn’t spend the whole card. The exchange rate doesn’t actually matter anymore—we can actually forget about dollars entirely at this point. If Sara spends 7,211.54 rupees on her credit card, it costs her the same as buying a 7,500 rupee prepaid card. Therefore, if Sara spends 7212 rupees or more on her prepaid card, she gets a better deal than if she spends the same amount on her credit card. In this post, I’ll deal with questions 16 through 20 in the “calculator permitted” section. See questions 1 through 5 here, 6 through 11 here, 12 through 15 here, 21 through 26 here, and 27 through 30 here. Well, this is embarrassing for CB, but now there have been 2 questions in a row where an answer choice (and the correct answer choice, no less) is printed incorrectly. 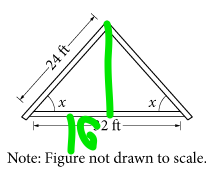 (See Question 15 in my previous post.) In this case, choices A and C, screengrabbed at right, should have || symbols, not blank squares. Someone didn’t check his or her font library carefully enough before choosing a math font! Typo aside, this is a good question. The thing you need to know about similar triangles is that their corresponding angles are congruent. Since you have vertical angles at point C, which must be congruent to each other, you know how the corresponding angles are laid out. I’ve color coded them below. Do you see what’s going on at points B and D, and points A and E? Those are alternate interior angles of lines AB and DE, so if they’re congruent, then those lines must be parallel! Another Heart of Algebra question, another scenario described that we need to identify an equation for. For this one, it’ll be helpful to use units. You know you want to end up with gallons, so make sure all the miles and hours units in your equation cancel out! Hopefully it’s obvious that you need to start with “17 –” something. That right there eliminates choices C and D, amazingly. Each remaining choice has a 50t in it. The 50, we know, is a speed, in miles per hour. The t is time, in hours. So the units of 50t is miles per hour × hours = miles. Remember that we want our final units to be gallons. The units of 21 is miles per gallon. So between choices A and B, we’re choosing between and . Which of those simplifies to gallons? B does. They’re not even asking you to solve systems of equations anymore—they’re just asking you to be able to write them. This is just the first step on medium and hard questions on the current test, but on this medium question it’s the only step. There are x cars and y trucks, so you x + y should equal the total number of vehicles, 187. You also know how much each kind of vehicle has to pay in tolls. Cars pay $6.50 and trucks pay $10. So 6.5x + 10y should tell you the total amount collected in tolls, $1338. Your equations, then, are x + y = 187, and 6.5x + 10y = 1338. That’s choice C.
See how Y2 has the points you want? That means the equation entered into Y2 is the right equation! That’ll tell you that the equation you want is p = 0.44d + 14.74. If you ask me, though, using the calculator is the way to go here. 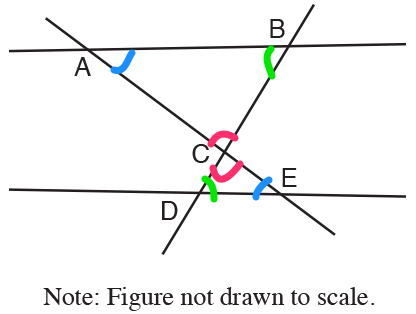 This question is essentially asking for the slope of the line of best fit, so our job is to find 2 points on the graph, and then use the slope formula: slope = . 143 isn’t an answer choice, but it’s awfully close to 150, and not very close at all to any other answer choice. 150, therefore, is the right answer. In this post, I’ll deal with questions 12 through 15 in the “calculator permitted” section. See questions 1 through 5 here, 6 through 11 here, 16 through 20 here, 21 through 26 here, and 27 through 30 here. I’m flummoxed here because they’re calling this a medium difficulty question, and it seems far easier than most of the other easy questions we’ve seen together so far, as long as you remember that the number of males doesn’t necessarily equal the number of females. (Again, this is a reading question as much as it is a math question.) If the average age of the males is 15, and the average age of the females is 19. If the number of males equalled the number of females, then the average age would be exactly 17, but we don’t know that the preserve has the same number of males and females. In spite of myself, I kinda like this question. It’s all about being cautious and modest with data. The only statement that data about 2000 16-year-olds in the US can support is a statement specifically about 16-year-olds in the US. If you want to draw conclusions about people in the world, then you have to sample the whole world. So cross off B and D.
Then, you have to remember something that will be drilled into your head in any social science class (and hopefully has already been drilled into your head a bit): correlation does not imply causation! Just because exercise and sleep are positively correlated (this question uses the word associated, which is a more general term, but association does not imply causation lacks that alliterative flair) we cannot conclude that one causes the other. Before we start discussing this, note that the CB, at the time of my writing this post, has F’d up a bit. Answer choice D, which should be the right answer, is misprinted. It looks like that over there on the right, but it should look like this: . That’s a big boo-boo to have a typo in the right answer—hopefully they’ll fix it soon. If you want to understand why D works, you need to first understand exponential growth in general. The basic setup of exponential growth (compound interest in a savings account is one classic application of this) is that you have a starting value (a), a growth rate over a certain period (r), and a number of periods (p). Where you’ll be after p periods is . Why? Anyway, in this case, the growth period is 12 years, but we’re given n in years. That’s why we need our exponent to be . That way, in 24 years, when there have only been 2 growth periods, the exponent will equal 2, as it should. In this post, I’ll deal with questions 6 through 11 in the “calculator permitted” section. See questions 1 through 5 here, 12 through 15 here, 16 through 20 here, 21 through 26 here, and 27 through 30 here. More of this business where a scenario is described and you need to select the equation that accurately captures it. I actually think this is really important and something worth testing, but the fact that we’ve seen two of these in only 6 questions makes me think I’m going to be pretty tired of them pretty quickly once the new test arrives. The trick here is that the $5 fee is untaxed, so you need to calculate the room fee, at $99.95 per night, apply tax to that, and then add the $5. You probably work with percents often enough to know that the 1.08 in each answer choice* represents 108%, which is what we need to multiply the room fee by to add 8% tax. If you stay at the hotel for x nights, then the per-night fee will be 99.95x. Add 8% tax to that and you get 1.08(99.95x). Then add the $5 untaxed fee, and you get answer choice B: 1.08(99.95x) + 5. * Where are the trap answers? 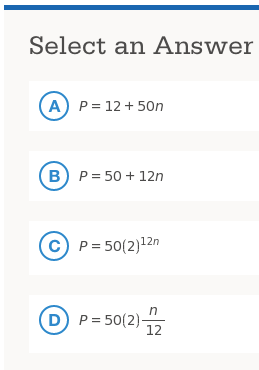 If you put 1.08 in each answer choice, you’re making something a lot of students struggle with, percents, too easy! This ends up being a question that’s more about testing whether students caught the word “untaxed” than whether they really know how to work with percents. Jeez. The figure here might intimidate you for a second, but look at the question! All it’s asking is how many solutions the system has. Remember this well, as I imagine it’ll appear on this new test fairly often: When the graphs of each function in a system converge in one intersection point, that’s a solution to the system. That happens twice in this figure, so there are two solutions. Ooh—a grid-in! It’s all about reading a table, though. Nothing too exciting. There are 7 metalloids in the solids and liquids columns, and there are 92 total elements that are solids or liquids. The fraction you want here is 7/92. Now this question should feel pretty reminiscent of the current SAT to anyone who’s been prepping with me. It’s a solving for expressions question, through and through! How do you go from what you’re given to what you want? You’re given info about , and you want to know about ? Multiply everything by –3! 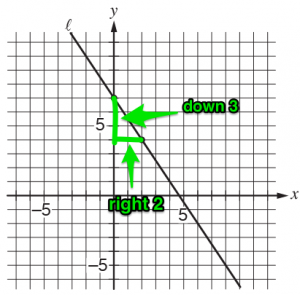 Oh, and don’t forget that when you multiply or divide a negative through an inequality, you need to flip the direction! 27/5 = 5.4 and 21/4 = 5.25, so any number between those works just fine. Note that while this question is probably tougher than anything else we’ve seen yet, it’s still classified by CB as easy. More table reading! Here, we’re asked which age group had the highest percentage of voters. Easy enough—just divide the number of voters by the number of survey respondents in each row! You’ll see that the 55- to 74-year-olds were the best voters: 43,075/59,998 ≈72%. Note that you might be able to eyeball the first two age groups and see that they’re not in competition, but you’re going to need to calculate the latter two. The people aged 75 and over had a 70% voting rate—too close to 72% to call by eyeball. Of course, the sample won’t really be perfectly representative, which is why we just say about 17 million people in that age group voted for Candidate A. In this post, I’ll deal with questions 1 through 5 in the “calculator permitted” section. See questions 6 through 11 here, 12 through 15 here, 16 through 20 here, 21 through 26 here, and 27 through 30 here. On the one hand, this is as easy as it gets. On the other hand, it already feels like a departure from what you see on the current SAT. This kind of question, where a scenario is explained in English and then the tester has to identify the right equation (or, in this case, inequality) in the answer choices, feels much more ACT-ish. But whatever. Stuff like this is what you can expect from “Heart of Algebra” questions. The main thing this question is testing is whether you, the tester, can read that the “recommended daily calcium intake for a 20-year-old is 1,000 milligrams (mg),” and recognize that you want your answer to say, “≥ 1000,” not just “> 1000.” That’s because if a 20-year-old has exactly 1,000 mg of calcium in a day, he meets the recommended daily intake. He doesn’t need any more. I doubt many folks reading this would be fooled by C or D, but it’s not hard to see why they’re in there as traps. Oh for crying out loud. There are 107 words in that question. 107! Ugh. This is a question that doesn’t require you to be able to calculate anything. It just requires you to know, on a very superficial level, how a margin of error works. Basically, you need to know that if you want to figure out the mean hours spent reading for the population of psych students at this university, you can ask a small sample of that population and arrive at a pretty good estimate of the actual mean of the whole population, within some margin of error. If you want to be more sure, you ask more people from the same population. The more people you ask, the smaller your margin of error. This makes sense if you think about it: say I wanted to know the average height of 100 people. I could feel pretty OK about my estimate if I only measure, say, 20 of them. I’d feel even better if I measured 60 of them. If I measured 99 of them, I’d be super confident that my mean is close tot he actual mean—even if the 100th person is a 7-foot giant, he can’t bring the average up very much! The larger the sample, the more sure you can be that the sample mean is close to the actual population mean. So C is the answer because it increases the number of people in the experiment without changing the population from psych students to students from all across the university. More superficial statistics knowledge being tested here. We’re three questions into the “calculator allowed” section and we haven’t had to calculate anything yet. Given that this graph will be the basis of the next three questions, that means we’ll be through 5 out of 30 questions in this exercise without so much as needing to turn our calculators on. Make a mental note of that. What the question is saying is that there’s a correlation between the length of a person’s metacarpal bone and that person’s height. It’s not a perfect correlation, which is why all the dots aren’t right on the line of best fit, but it’s a correlation. All the question’s asking you to do is count the dots that are more than 3 inches from the line in either direction. There are 4 dots that are at least 3 cm off the line of best fit, so the answer is B.
Dots they hope you miss. In this case, there’s that one all the way on the bottom left. Did you see that one? Not everyone will. The answer choice you’d expect to be there to catch the people who miss that dot, 3, isn’t there, but I don’t think we can take that as a sign that the new test won’t do that kind of thing with regularity. 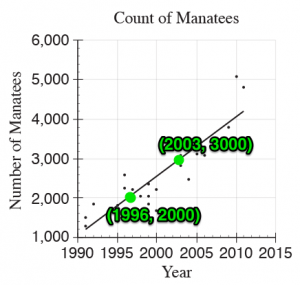 More on the same graph. Here, they’re asking about slope. Ah, slope! Our old friend! I hope we’ll be seeing more of you! Slope, as you know, is a measure of rise over run. Here, given the axes, it’s a measure of height increase over metacarpal length increase. That’s precisely what choice A describes. If you’re having trouble distinguishing between choices A and B (choices C and D aren’t very tempting) pay attention to units. The metacarpal length axis only increases by 1 cm, total. 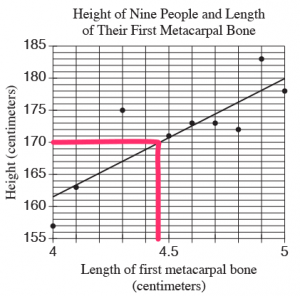 From this graph, it’s easy enough to say that height would be expected to increase about 18cm with a 1cm increase in metacarpal bone length. 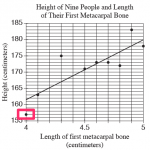 It would not be easy to predict from this data how much longer someone’s metacarpal bone would be if they were 1 cm taller. Still on this silly graph. I was expecting these questions to get harder as they go, but this might be the easiest of the bunch! All you need to do is trace the graph. 4.45 cm metacarpal is going to be in the middle of 4.4 and 4.5—trace that up to the line of best fit, then look left to the height axis and see where you are. You’re right on 170! The danger here, of course, is that you misread the scale on the bottom axis, and there is the 169 there in the answer choices to make you feel good about your mistake if you trace the 4.4 line up by mistake. Still, if you can read a graph, you’ll have no problem nailing this question. It’s been a long time since I’ve done one of these, but I’ve been itching to give away a Math Guide for a while, and I woke up with this question in my head, so I figured I’d let ‘er rip. You must live in the US to get the book for free. If you live outside the US, you must pay shipping. If you are not willing to do that, please don’t enter. 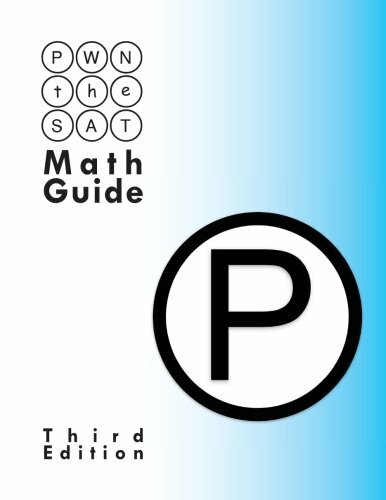 You cannot have won a Math Guide in a contest in the past. Assuming there’s a winner tonight (11/12/14), I will update this post tomorrow. Good luck! UPDATE 11/13/14: Congratulations to Ashish, who made me worry that this question wasn’t hard enough when he got it so quickly. Then a bunch more people got it wrong (about 15% of people got it right during the contest) and I was relieved. Now that there’s a winner, you can answer the question again (if you already attempted it). This time, when you submit, there’ll be a solution. So if you want to see how it’s done, just try the question again! How’s everyone else doing on this challenge? For more information on the 3rd edition, click here. It almost never fails when I’m working with a new student that the first time a question involving remainders rears its ugly head, we need to spend some time talking about what remainders are and how to find them. This happens fairly early in the process with me, intentionally. I always start with new students by working through the plug in and backsolve chapters in my math book, and the plug in chapter prominently features a remainder question. That’s what’s discussed in the video above. A remainder, just so we’re clear, is what’s left over when one positive integer is divided by another. When 17 is divided by 5, for example, the remainder is 2: 5 goes into 12 three times—making 15—but there’s still 2 left over to get to 17. Remember long division? 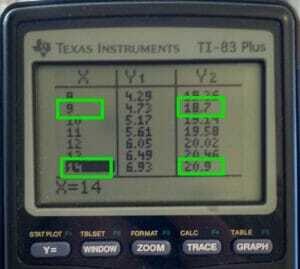 Do the division on your calculator. If there’s no decimal, then there’s a remainder of 0. If there is a decimal, then there’s a remainder. Convert the decimal to a remainder by subtracting the part before the decimal point from the quotient you have on your calculator. You’ll be left with only a decimal. Multiply that decimal by the original divisor. Boom! You’ve got a remainder. Here, I’ll show you. Let’s do 17/5 again. When you put 17/5 into your calculator, you get 3.4. Subtract 3 from that, and you’re left with 0.4. Multiply that by 5, and you’re left with 2—that’s your remainder! Note that if there’s a repeating decimal, you shouldn’t round it or you won’t get an integer remainder. 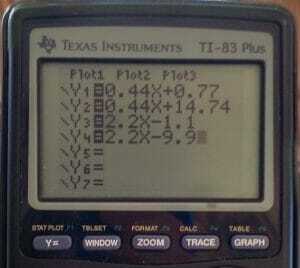 Here’s another example with the exact keystrokes I enter into my TI-83, and what the calculator displays. What is the remainder when 52,343 is divided by 92? Therefore, 52,343/92 = 568 R 87. Cool right? Any remainder operations you’ll be doing on the SAT will be far less involved and easily done with long division, so you don’t need to memorize this trick, but it’s there for you if you want it. If n is divided by k and leaves a remainder of r, then n must be r greater than a multiple of k. For example, if a number divided by 8 leaves a remainder of 3, then that number must be 3 greater than a multiple of 8. You’ll do well to plug in a nice, low number that fits that description, like 8 + 3 = 11. 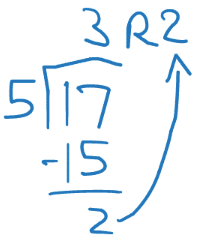 The greatest possible remainder when dividing by k is k – 1. For example, if you’re dividing by 10, then the greatest possible remainder you can get is 9. When you divide a bunch of consecutive integers by the same divisor k, the remainders will form a repeating pattern of consecutive integers from 0 to k – 1. For example, when you divide a bunch of consecutive integers by 3, you’ll get a repeating pattern like: 0, 1, 2, 0, 1, 2, 0, 1, 2, … The pattern might begin with any of those numbers, depending on which consecutive integer you begin dividing by 3, but the pattern will be the same. Think you’ve got this? Try a short quiz! How are people doing on this quiz? I solve this two ways in the video above (beginning at 4:05)—first I backsolve, then I do the algebra. My general preference is to backsolve a question like this because once you’ve practiced doing so it’s really fast and easy, but it’s good to know the algebra in case you ever come across such a question as a grid-in. Are you a smooth operator? Prove it with this Numbers and Operations quiz.